Â When you order online you have this slight uneasy feeling you're not going to like it when the product arrives. This was not the case with my table. 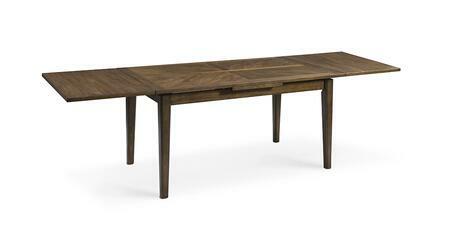 This table is extremely durable Beautiful finish, and elegant. Â The quality of this table is unreal. Heaviest most stable dining table for the price! I love the color and finish. Looks fabulous in our dining room. My first purchase from Bassett Mirror and I am in love. I could not be happier with this Paxton table. It is exactly as pictured and the quality and weight of the table are outstanding. Â Looks great in my modern dining room. Great quality for the price and seems very sturdy. Perfect for you if you want a contemporary dining room. Â Strong table, have received many compliments. Classic country look, yet clean lines and simplicity make it a great transitional table as well. The exact size we needed. Â This has been a great table, itÂ’s solid and looks beautiful. I can't imagine anyone would be unhappy with this table.